Become a qualified Cosmetic Laser Therapist. The Advanced Cosmetic Laser Therapist course was developed to teaches you everything you need to qualify as a laser therapist – you can study it from home, at your own pace. Do you want to qualify as a laser therapist, but simply cannot stop with working to go for training hundreds of kilometers away? 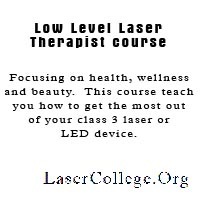 Or have you been to one of these laser schools where you are supposed to be a qualified laser therapist after 2 to 5 days of training and ended up paying them to work in their laser clinic for a week and still did not gain the training your were looking for? Or maybe you are at the beginning of your career and would like to ensure that you have the best suitable training that set you apart from all the other. The original Cosmetic Laser Therapy course, by Raymond Schoeman of ALC Lasers has become the foundation of this advanced course. 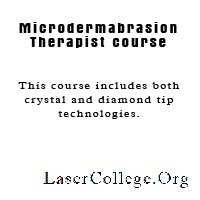 We have build it out into an international recognized course at the Laser College and are proud of the fact that it is still the most complete course available for cosmetic laser therapists. The South African Department of Health has been satisfied that it is in line with all their requirements and the Cape Peninsula University of Technology calls it “well-organised and well-presented”. The course has also been presented at a range of other beauty schools and institutions. Being in the cosmetic laser industry since the 90’s, Raymond and the other course co-coordinators have encounter the same problem over and over in various countries. The lack of unbiased cosmetic lasers and IPLs training courses. This is partly because the industry is still young and also partly because of the prices of equipment. There are very few laser training institutes that can afford a range of different equipment to offer their students exposure to different technologies and machines. The Laser College has overcome this problem by choosing course co-coordinators from different backgrounds and making their knowledge available on a platform that expose the student to various technologies and machines. 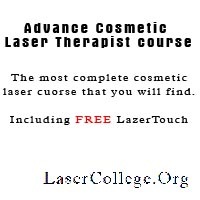 The Advanced Cosmetic Laser Therapist course offers you the opportunity to qualify as laser therapist online at the comfort of your home and at your own time with personal expert trainer support. You will learn about high power lasers, low level lasers, IPL and LED technologies. You have the option to continue with a practical training component on completion of the course in countries it is available. We are sure that you have encounter various laser courses in your search for the right training course for you. However, most courses are extremely limited to their subject area (either laser or IPL) and are sometimes very machine specific. While others promise you all the knowledge you will ever need in 2 or 5 days. It is of utmost importance to be realistic about laser training, as is the case with any other training course you may undertake. We will provide you with a complete course covering all light-based technologies in the cosmetic industry and provide you with a solid knowledge and understanding of the various treatments, technologies and equipment. All this at your own tempo and the comfort of your home, but with full personal study assistance. STUDY MODULE 6: FREQUENTLY ASKED QUESTIONS. Describe the average treatment expectations for IPL treatments. Describe the average treatment expectations for laser treatments. Describe the various layers of the skin. Classify a skin type according the Fitzpatrick scale. Describe the causes of varicose and spider veins. Describe the Laser tissue interaction that enables laser hair removal. Describe the structure of hair. Describe the growth cycles of hair. Describe the procedure during a consultation. Describe the procedure during treatment. Describe the aftercare to be taken after treatment. Describe the possible contra-indications associated with laser therapy. FREE OPTION or EURO 897-95.